Our DC-DC converters provide regulated DC voltage when only DC is available. This will enable conversion to various voltage levels, in addition to electrical isolation to help set up independent power supply systems. At Micromax Technology, we supply an extensive range of DC-DC Converters with wide ranging inputs (5V – 2000V DC). Typical output voltages are 3.3, 5, 12, 15 and 24Vdc in single, dual or triple output configurations. Depending on the model, DC-DC converters are available in enclosures or open-frame with wattages from 3W. These converters are DIN rail mountable or may be modifiable for DIN rail applications. Our partners, Statronics, are at the forefront of high-performance design in power supplies, becoming one of the most renowned suppliers of DC to DC power converters in Australia, USA and New Zealand.  We are committed to not only meeting, but exceeding Australian safety standards. By incorporating technology such as preventive monitoring of output voltage, input voltage and output current, we optimise the reliability of our dc-dc converter power supply products. Need a custom design power supply? 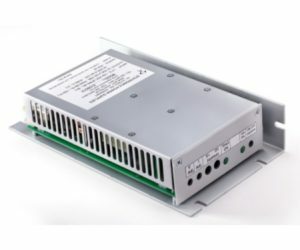 If our DC-DC converter power supplies are not the best solution for your application, then talk to us about a custom design power supply to meet your business needs. Visit our partners, s-POWER.com.au to buy DC to DC Converters online. Offering DC-DC converters in a variety of enclosure types, including open-frame and DIN mount options. Statronics give high priority to quality and reliability. Statronics provide single, double and triple output DC-DC converters. Input voltages range from 4.5Vdc to 1000Vdc. Handing max power of up to 1000W, Statronics can supply the perfect DC-DC converter for your specific application. This line is designed for all non-industrial applications: isolated and non-isolated power supply units/converters, able to supply input-output voltages equal to or different from rated input voltage. Their primary function is to compensate fluctuations in input voltage and maintain a stable output. Available in DIN rail mountable formats, all have short-circuit and overload protection on the output, guaranteeing a stable output voltage. Like all Adel system products they comply with the latest standards applied to the industry. 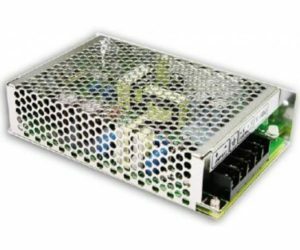 The low voltage power supplies/converters in the STEP-UP range are suitable for producing voltages higher than the input voltage. 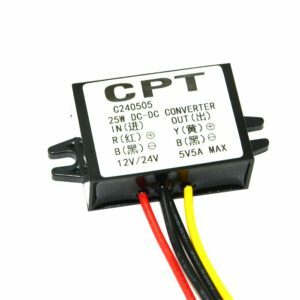 They are typically used for currents of 3-6A, in cases where there is a rated input voltage of 12Vdc transformed into higher output voltage, perhaps to connect to a 12Vdc battery to then power a 24Vdc PLC. STEP-UP units feature switch-mode technology, are DIN Rail Mountable, and have output short-circuit and overload protection. For use in industrial and automotive applications, they are particularly reliable, robust, easy to use and comply with the latest regulatory standards. 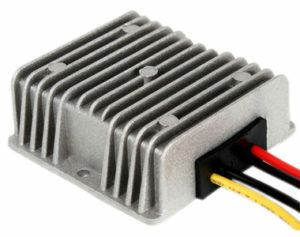 The solution is a car power technology dc-dc converter. This taps the full battery pack voltage and cuts it down to a regulated output, similar to that from an alternator. By tapping the full pack, there is no uneven discharge. Amperage required is so low that there is little effect on range. Isolation of the high and low voltage systems is maintained inside the DC/DC converter. This also eliminates the need for a separate 12 volt charging circuit for an auxiliary battery. Our wide selection of dc voltage regulator (dc-dc converters, dc voltage reducer, voltage booster, step down converter, step up converter) also help you convert golf cart batteries (and other battery banks) to another voltage. 2/24/36/48/60V to 5V, converters are widely used with GPS/phones/recorder etc in car or other devices that use 5V. 48V to 12V converters are widely used in golf cart / fork lift etc.